The Faculty of Businesses Informatics held a seminar to present the scholar programs of the American embassy. The faculty of Businesses Informatics at the University of Information Technology and Communications held a seminar about the presented programs of the American embassy. 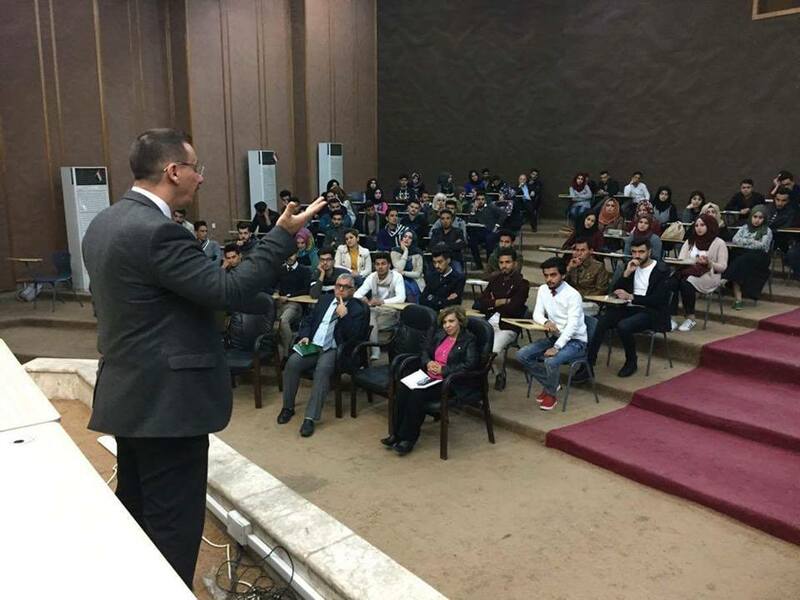 The seminar presented by a delegation from the American embassy that visited the university with Nouras Mahmoud, the director of Cultural Relations of the American programs that are presented to students and lecturers. The seminar presented the registration mechanism to these programs and the conditions that should be provided for students and lecturers. Three programs that are presented to students who are(18-28) years old. IYLEP program which aims to develop leadership skills of students by sending them to Arizona and Washington universities. The objective of the second programs is sending a group of students to American universities in order to identify university life there and to improve their English. The third program supports young women leaders. Another program for lecturers was presented like Fulbright scholarships because of the popular community aspects. This program gives the opportunity to students to continue their studies in different fields and delegate lecturers to different American universities.